The nominations for the 91st Academy Awards have been announced, and while Roma and The Favourite both picked up 10 nominations, fans have still got their eyes on Bohemian Rhapsody. The Queen biopic is in the running for: Best Picture, Best Actor (Rami Malek), Best Film Editing, Best Sound Mixing and Best Sound Editing. Given the film is about one of the most iconic bands of all time and – more specifically – one of the most iconic songs of all time, it’s no surprise it’s up for the awards of sound mixing and editing. However, just getting the film itself to the Oscars may come as a surprise for some people, as its turbulent history – with original directors and actors dropping like flies – meant it was in danger of never getting off the ground. 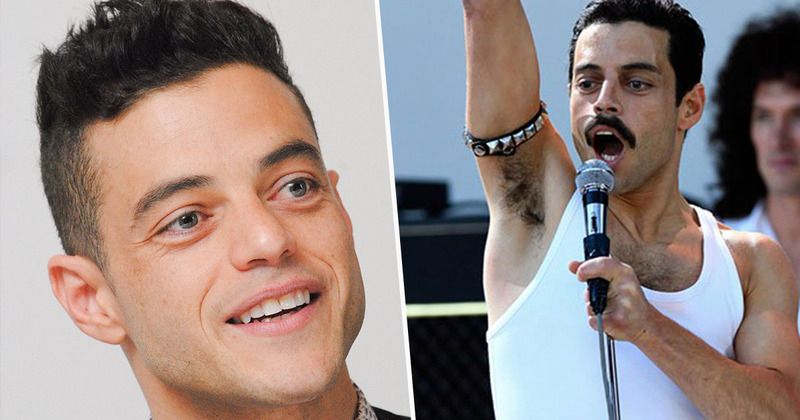 As Sacha Baron Cohen walked away from playing Freddie Mercury in 2013, and directors Dexter Fletcher and Bryan Singer both distancing themselves from the project (Fletcher by choice, Singer not so much), it seemed the film was destined to be ‘in production’ forever. However, as Rami Malek took up the mantel and stepped into Mercury’s unmistakable, high-waisted jeans, white vest, and yellow leather jacket, it looked like the movie had finally found its Mercury, and one that would see the film go on to become a box office smash. After picking up the awards for Best Actor and Best Picture at the Golden Globes earlier this year, Malek and the film were a shoo-in for being nominated for Oscars in the same category, too. And sure enough, they were. Now, Malek has taken to Twitter in reaction to his nomination for Best Actor. Thank you to the Academy for recognizing the work of so many from the cast and crew who made all of this possible. I have absolutely treasured playing Freddie Mercury and I am so profoundly humbled and thrilled to honor him this way. Of course, Malek’s nomination should come as no surprise to one person in particular – Queen guitarist Brian May – who somehow knew all along the 37-year-old would be nominated. It came out to shittty reviews, as some of our work has before, but the public has embraced it magnificently. Everybody gave 200%, from the actors and technicians to the production team and hair and make up, everyone. Although he may have won at the Golden Globes, Malek is up against some serious competition for the Academy Award (not that the Golden Globes didn’t offer stiff competition too, of course). The other nominees for Best Actor are Christian Bale for Vice, Bradley Cooper for A Star Is Born, Willem Dafoe for At Eternity’s Gate, and Viggo Mortensen for Green Book. Whoever wins, at the end of the day – cinema is the real winner, right?